Experience the Cessna Penguin Cove from the inside! 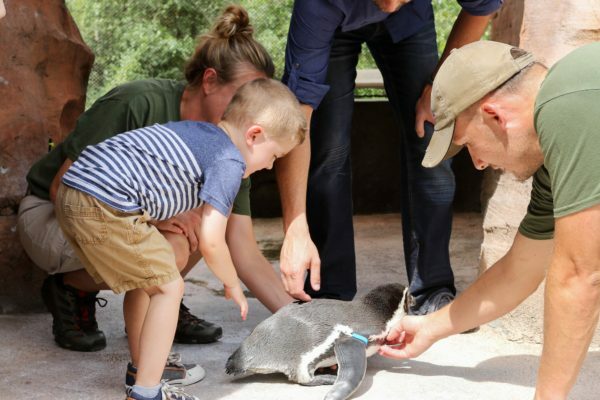 Go behind the scenes with a penguin keeper to learn what it takes to care for our Humboldt Penguins and what SCZ is doing to help them in the wild. 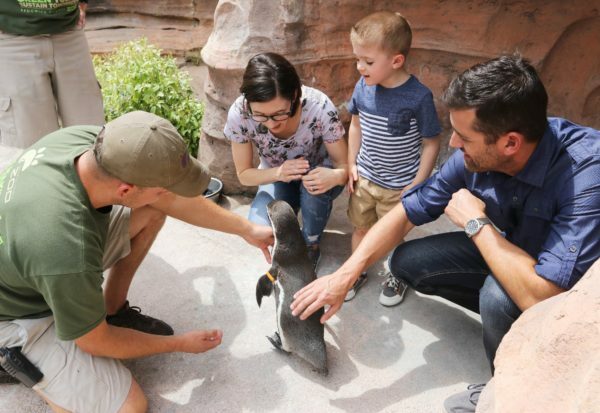 Venture out into the penguin habitat for a wild encounter you’ll never forget! Zoo admission or membership ID is required. Admission is not included in the cost of the Encounter ticket. 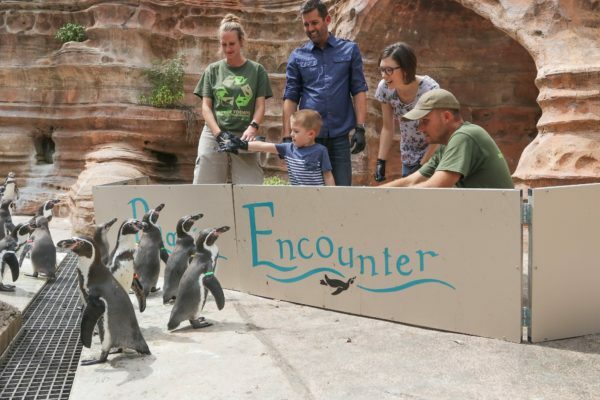 Encounters for children 2 and under are free. Children under 12 must be accompanied by an adult who must also purchase a ticket for the encounter. 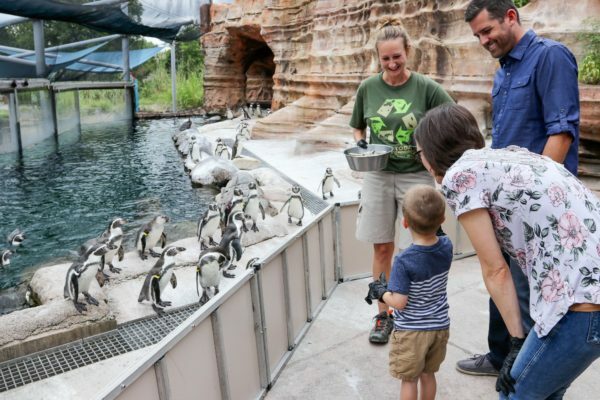 Maximum capacity for Penguin Encounters is 10 guests. Groups will not be guaranteed private encounters unless they purchase all 10 spaces. Please arrive at the Cessna Penguin Cove 10 minutes prior to scheduled encounter. Late arrivals are not able to be accommodated. Encounters are non-refundable, but may be rescheduled if canceled more than 48 hours in advance. 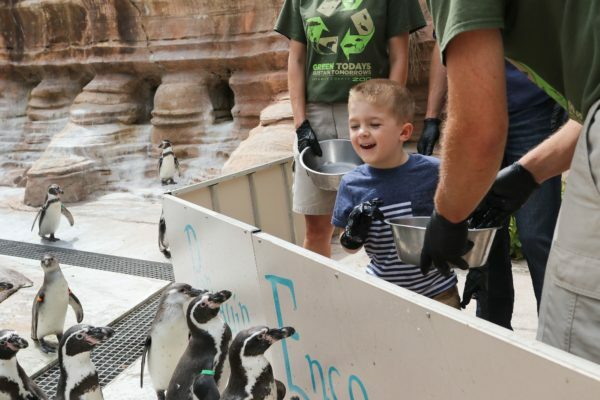 Sedgwick County Zoo reserves the right to cancel and reschedule encounters for any reason such as weather or animal welfare concerns.